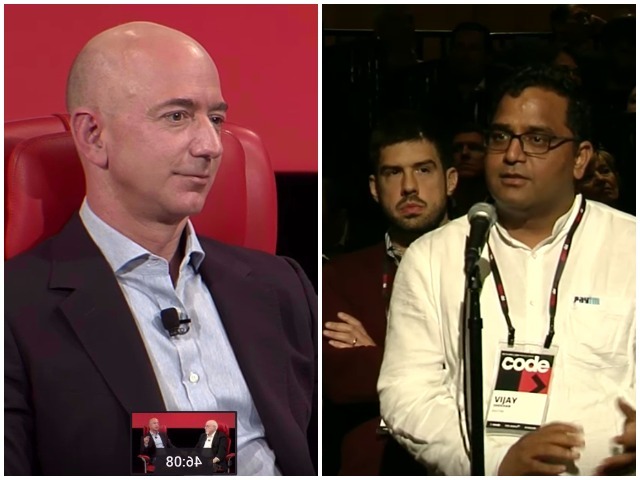 Last year, Paytm CEO Vijay Shekhar Sharma had walked up to the mic at a conference and posed a question to Amazon CEO Jeff Bezos. “Hi Jeff, I’m Vijay from India,” he’d begun, before saying how India’s lacked the infrastructure in logistics and payments that is vital for firms to succeed. “Do you plan to invest a lot in India in terms of infrastructure?”, he’d asked. A year later, Jeff Bezos has. After coming to dominate the Indian e-commerce space within three short years after its launch, and investing heavily in original video content through Amazon Prime, Amazon is now eyeing another slice of the e-commerce pie – wallets. The company has received approval from the Reserve Bank of India to launch its own digital wallet in India. Amazon India had applied for a Prepaid Payment Instrument license nearly a year ago. Amazon already has a closed wallet of its own, called Amazon Pay Balance, which it had launched in December last year. Amazon Pay Balance was limited to transactions on Amazon, and was primarily used for quick checkouts and refunds. The new wallet, however, will be able to be used across merchants, pitting it squarely against Paytm, Freecharge and Mobikwik. Wallets have gained increasing prominence in recent months with the government’s digitization push, and the demonetization move announced in November last year. Amazon could feel that it’s missed the wallet bus by a few months — following the demonetization announcement, all wallet companies had reported a surge in their usage, and had quickly garnered new customers. But there are indications that the new usage hasn’t been sticky; companies have stopped reporting their growth numbers, and even transactions on UPI have fallen. Amazon might be a late entrant to the space, but it has strategic advantages required to do well. It could push its wallet on its e-commerce site, thus getting an initial rush of users, much like Flipkart had with PhonePe. Amazon is also popular among the seller community in India, and that gives it access to millions of merchants, who could be incentivized to use the wallet on their offline stores. A wallet is also strategic because all of its competition has wallets of their own — Flipkart has PhonePe, Snapdeal has Freecharge, and Paytm, well, has Paytm. History, though, has shown that it’s hard for wallet companies to break in. The business has strong network effects, especially in the offline space, and Paytm with its 200 million users and strong ground game will be hard to dislodge. Jio has over a 100 million customers on its phone business, but its wallet, JioMoney, hasn’t yet been able to gain sufficient traction to be seen as a threat to wallet companies. But Jeff Bezos and Amazon aren’t competitors to be sniffed at — few could’ve predicted Amazon’s meteoric rise in the e-commerce space. And if Amazon’s wallet entry is coming to be anything like its e-retail entry, Indian wallet companies might just have found their biggest competitor yet. What Does a Librarian Do in 2019?